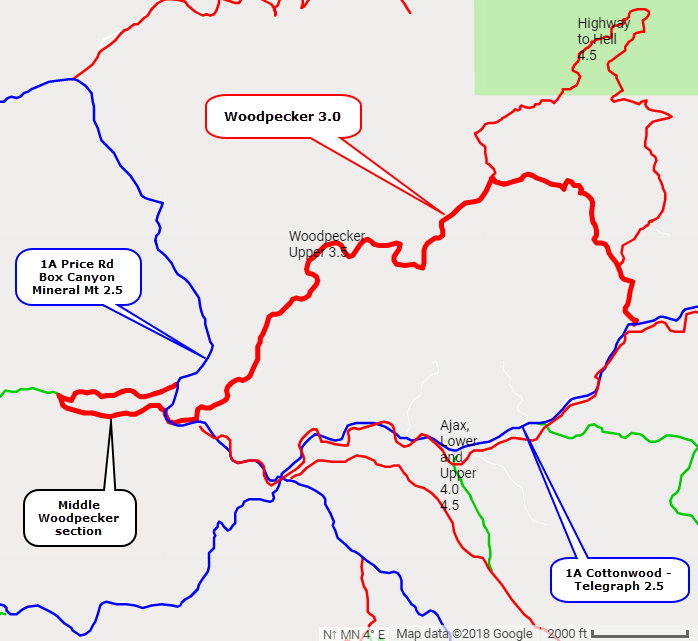 Woodpecker is a fun Jeep trail with a few off camber spots and a couple moderate ledges if you do just the main track. Extra credits can add to the difficulty rating. 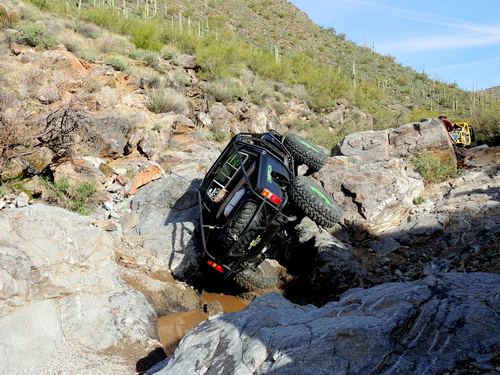 The trail stays down in a wash for the entire length, so there is no scenery - just rock crawling. West to east puts you in the uphill direction. It is a bit over 3 miles long so can be combined with another trail in the area. 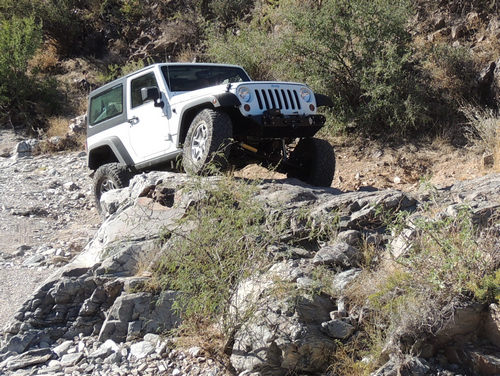 There is a new mining road that crosses back and forth over the lower part of the Jeep trail. 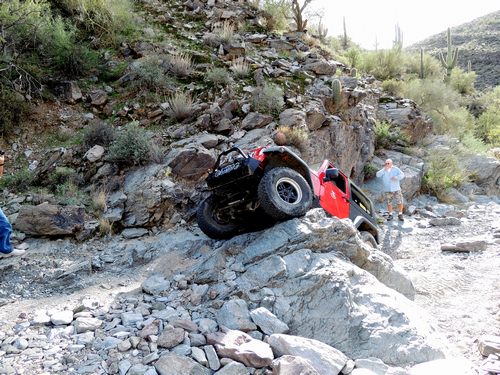 It has eliminated a few obstacles, but the trail is still a good one. Did I mention there were extra credits available? Purists will notice this is a combination of Middle and Upper Woodpecker. Get over it! Lower Woodpecker was closed by the BLM and Middle Woodpecker is not long enough for an individual trail. Not many regular Jeeps make The Firehole (left). Not all buggies do either. The red Jeep is doing one of the extra credits.